Donald Trump’s Presidency was never going to be conventional and boring, and his staff picks might already hint that things are not going to be as per usual in the White House. 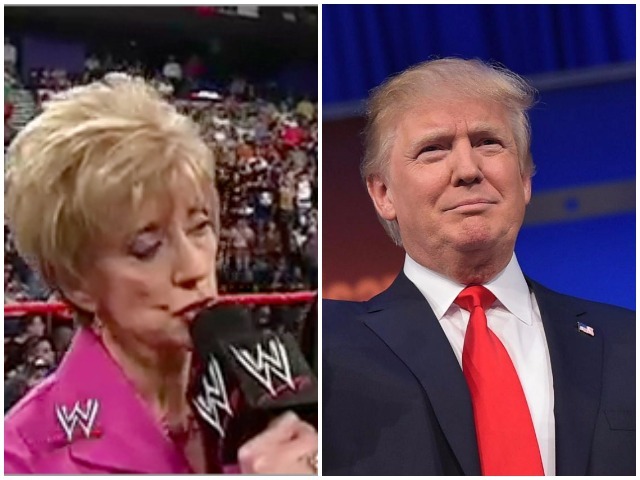 Trump has picked WWE cofounder Linda McMahon to lead his Small Business Administration. “My America First agenda is going to bring back our jobs and roll back the burdensome regulations that are hurting our middle class workers and small businesses,” Trump said in announcing McMahon’s nomination. McMahon was one of the early supporters of Trump’s presidential bid, and had donated $6 million to Trump’s candidacy. She’d founded World Wrestling Entertainment with her husband, Vince McMahon, with whom she’s been married for 50 years. Trump has had close ties to the WWE, and had even appeared on a match in Wrestlemania where he’d shaved founder Vince McMahon bald. Linda McMahon was also a regular fixture on the show in the 90s, and had participated in several storylines, including one in which she was paralyzed while her husband had an affair. The McMahons are tremendously successful entrepreneurs and have a net worth of over $1 billion (Rs. 7000 crore).